MMMM! Hot, yummy doughnuts. The best thing about them is that they were made with love by my Granny! Below is a picture of her. 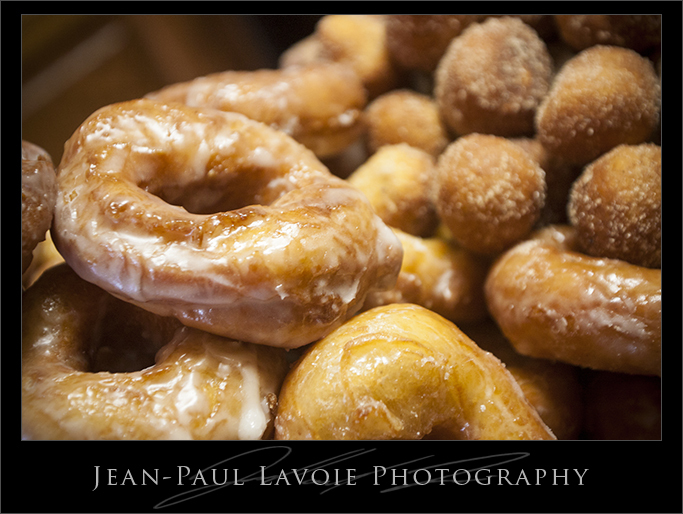 Please note that that great big pile of doughnuts was only about half of what was made. The other half was already residing in out bellies and I had to fight people off just to get the pile for a picture. 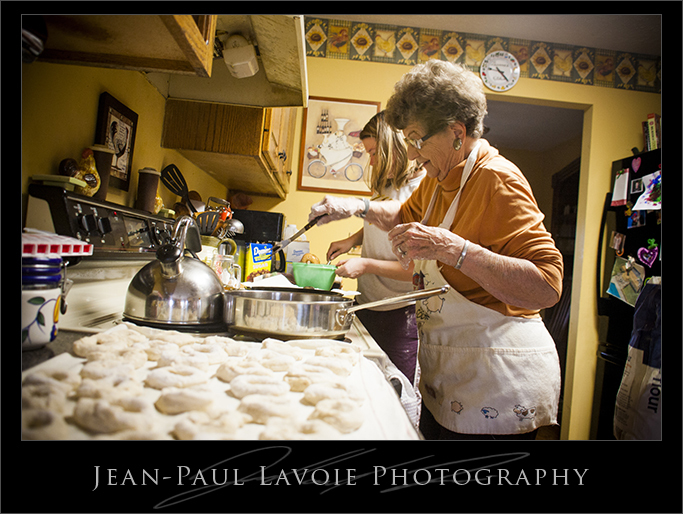 Granny is well known all over for her made-from-scratch rolls. 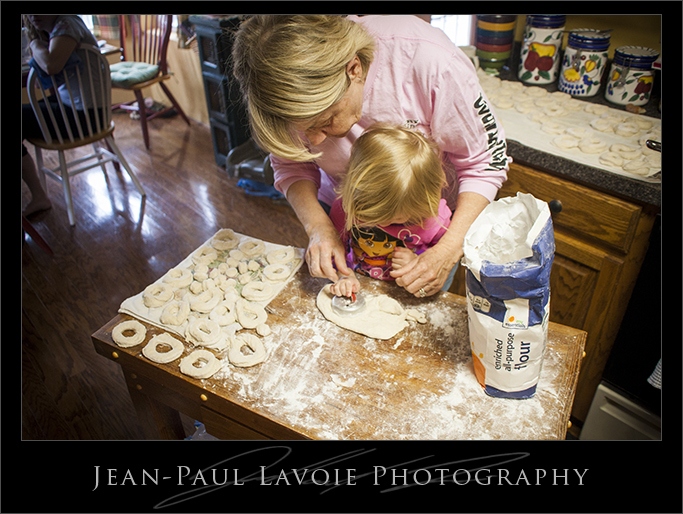 Her entire family loves her rolls and right down to the great grand children, we all cannot get enough. 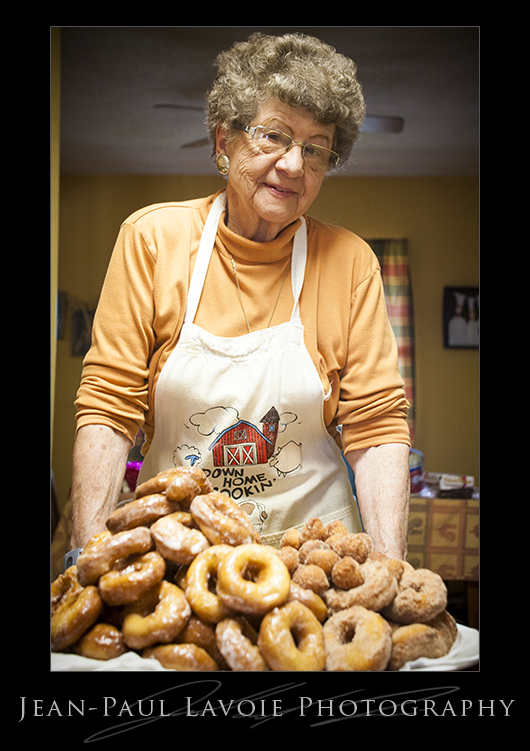 Then sometime last year, sitting around the kitchen table telling stories as is often the case, it came up that she had also made doughnuts in the past. Being the food lovers that my siblings and cousins immediately grabbed a hold of this concept. 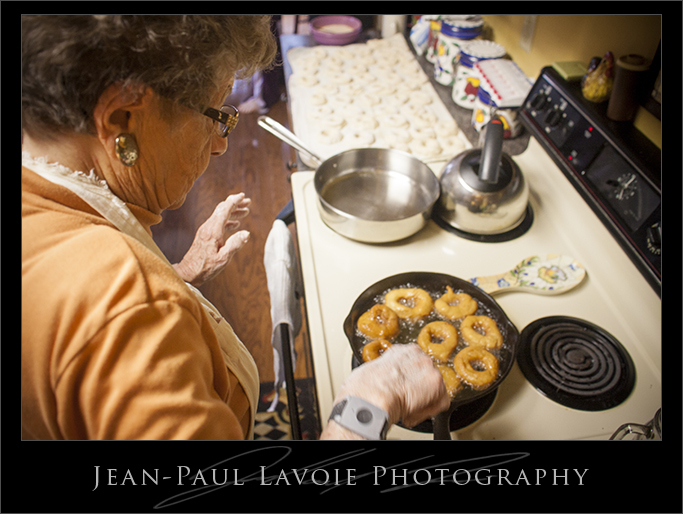 Finally, last week my sister had a break through and convinced Granny to make her doughnuts Easter Saturday! Needless to say I was snapping pictures through the entire process. 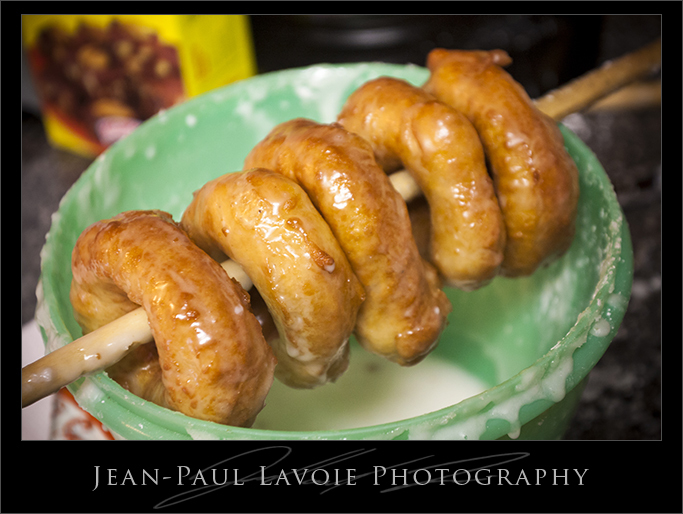 She showed up the the dough already made and an ancient metal device to shape the doughnuts. 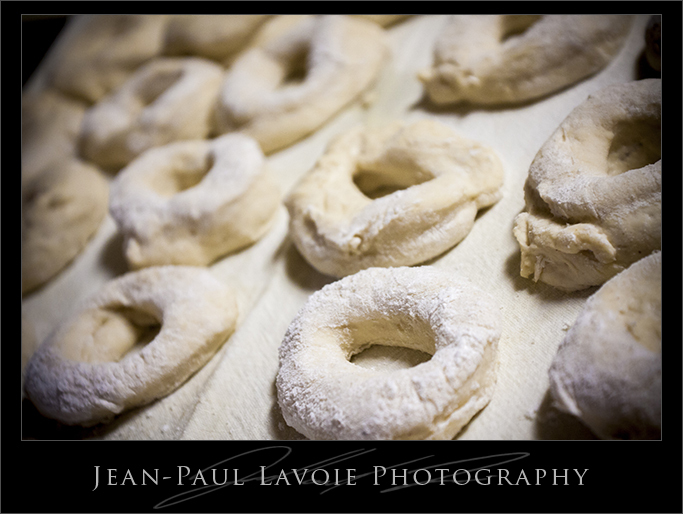 We cleared the kitchen and set up and started making the doughnut shapes as they had to have time to rise. 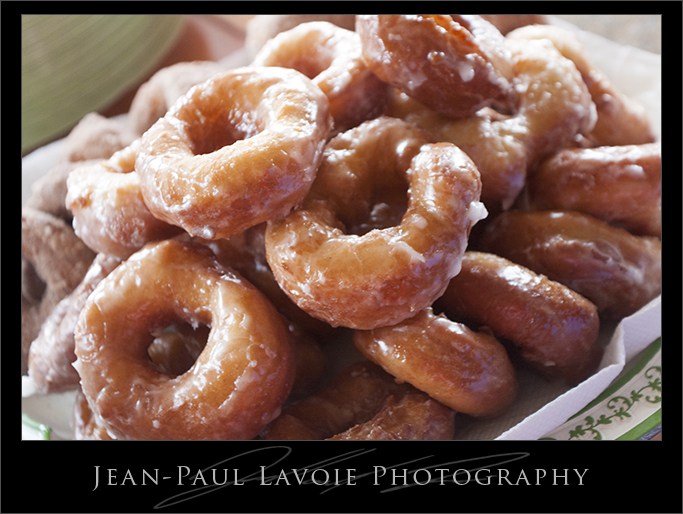 After the doughnuts had risen enough they were promptly dropped in the hot oil and flipped after a time. They were then removed from the oil and the glazed by my Wife. After that it is all about repeating that process over and over. We figured out that we made about 8 dozen by the time it was all over. 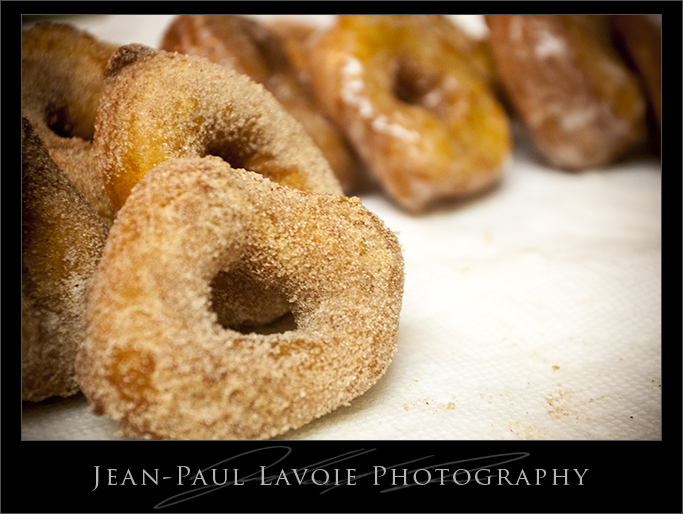 As an alternative to the glazing we also coated them in cinnamon sugar. There is nothing like eating Granny’s rolls right out of the oven. 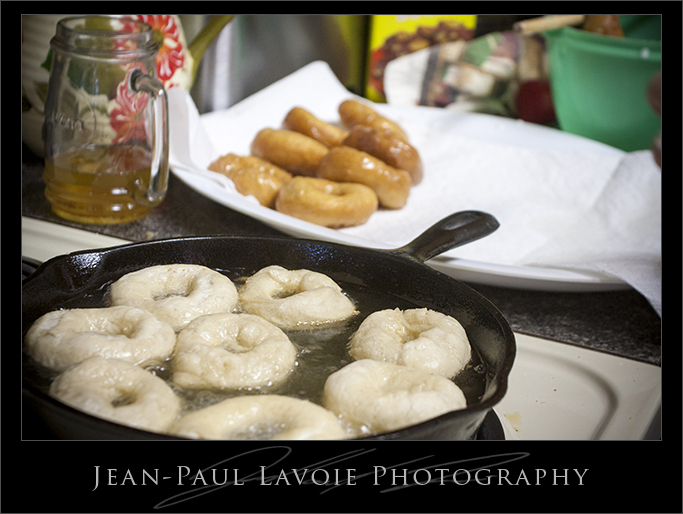 Though, I have to say, Granny’s doughnuts hot out of the frying pan is right up there. I definitely need to get some pictures of her making rolls next. That is a process to behold!